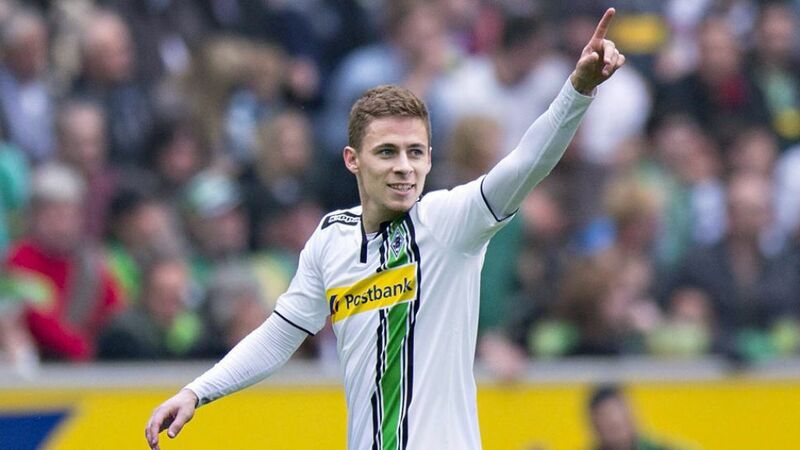 Borussia Mönchengladbach fans witnessed Thorgan Hazard's coming of age in Matchday 28's 5-0 drubbing of Hertha Berlin. The 23-year-old Belgium international forward's spellbinding display yielded two goals as Gladbach moved up to fourth in the standings, but also served as a timely reminder that immense potential does not necessarily guarantee overnight success. Looking to step out from under the shadow of older brother Eden, Thorgan joined Gladbach from Chelsea FC in summer 2014. He had been named Belgian Player of the Year for two seasons running during a previous loan spell at SV Zulte Waregem, but was determined to show the world he had the necessary skill set to cut it at a UEFA Champions League-level club. Although Hazard did not disappoint - his deal was made permanent in February 2015 in a season that culminated in a notable third-placed finish - a handful of question-marks remained. How good is he? Can he deliver on a regular basis? Can he perform against Germany's best? Almost a year later, the answers are unequivocal.